One of the small ways that Jordan and I intend on saving money for the wedding is flowers, center pieces, and decorations. Typically people spend a tonne of money on these items - and it makes sense, to a point - they have the potential to significantly impact the 'feel' of the wedding. That said, Jordan and I would rather not hemorrhage our bank account. So...on to my second DIY project (the first was our invites). When my company first moved to our new building a few years ago everyone received a flowerpot/flowers on their desk. Three years later - there are stacks of these things everywhere as plants have either died or been re-potted. I've been collecting them for a while, and finally had enough for each table. We're going to paint them grey and plant purple flowers in them. Hopefully planted flowers will add to our outdoor/BBQ theme and be cost effective. While they are not technically our favours, we're happy for a few of them to go home with people. So far I've painted all of the bases and about 2/3s of the pots. Once I'm done (tonight hopefully) I will spray them with a waterproof sealant. The insides of the pots are unpainted as I don't want the ink/spray to leach into the soil. As we already had the pots, soil, paint and sealant - this is very cost effective. The only thing left to buy are the plants! ...guess who's getting a raise effective April 2, 2011? I'm pretty stoked about it! Will share more soon! I am so all over the place these last few weeks. I had a good conversation with my supervisor yesterday as he's also planning on buying a house. We wound up talking about budgeting and his suggestion was that no matter how much money comes in, or where it comes from, you come up with a family rule - like 50-25-25 and so 50% goes to saving, 25% debt, and 25% fun. Then, you're never faced with, well we got a $500 refund from our taxes - what to do with it. That conversation got me thinking about Gail VazOxlade's financial pie - and I wonder where Jordan and I were sitting on it. 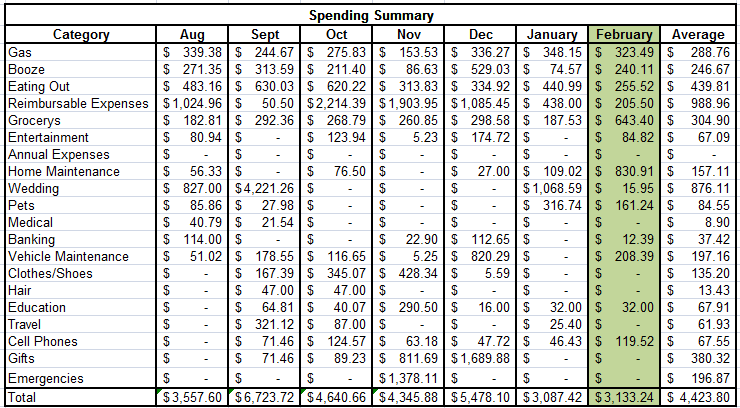 So I used our 7 month trailing averages that I've been posting as well as our budget and basically plunked in all our numbers into Gail's spreadsheet and then cleaned it up a bit. 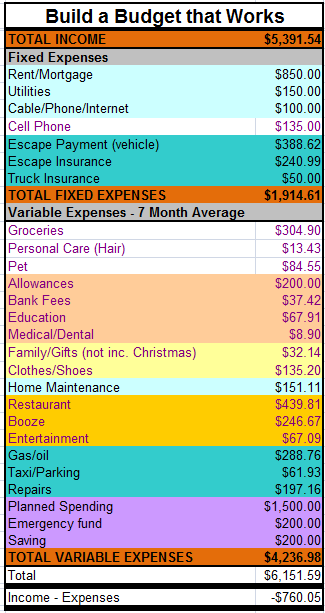 The fixed expenses are actually our fixed expenses and the variable expenses is our 7 month average - not what we intend on spending each month (which is very different). We intend on putting away $1,500 each month into our planned spending saving categories. These include the house fund/wedding fund/christmas ect. The average we have spent on emergencies is $200 but we actually put away $100 month. The intent of going through this wasn't just to do another budget but to help identify where we are squeezed. You can see from here that while we intend to put away $1,500 a month - with what we're actually spending, we wind up being $760 short every month. To identify areas for potential saving based on Gails' financial pie, we can summarize all of the categories (the colours are hers by the by). I can see write away that we're spending 114% of our income each month. Keep in mind we're not actually going into debt for this - we just wind up saving less then we intend to to make everything work. But this really shows me why/where/what is going on. We spend nothing on debt and are below the housing expectation. We spend more on transportation and life then Gail's recommendations. We know from Gail that if you spend less or under in one category, it's 100% okay to spend more in another. For instance, our saving at 35% is great, but we're not actually achieve that - it's just what we intend to do. Jordan often says that we would have a lot more flexibility with our budget if we saved less (or planned to spend less) but I beleive that we'll spend the money whether we have it or not, so it's better to try to put that money away ahead of time (like at Christmas for example). I think the biggest place for improvement is in life. Life. I was telling my mom that the last two months that Jordan and I have been really trying to spend less and we feel stressed over it because even though we're trying really hard - we're still spending a lot....so that's really de-motivating. So we'll have to have a think about getting our life spending down and perhaps having a think about our saving/planned spending down to a bit more realistic number. If we did something like this, we would save/planned spend $300 less a month and spend about $425 less on life - taking some from each would certainly be easier then all from one or another. I feel like this post is a little all over the place and apologize for that - I wanted to go through and share this exercise to get my brain thinking about the least stressful way to make some changes. Mortgage loan insurance is typically required by lenders when homebuyers make a down payment of less than 20% of the purchase price (Jordan and I are putting 5% down which means our insurance premium will be at least 2.75%). Mortgage loan insurance helps protect lenders against mortgage default, and enables consumers to purchase homes with a minimum down payment of 5%. To obtain mortgage loan insurance, lenders pay an insurance premium. The premium payable is based on a percentage of the home’s purchase price that is financed by a mortgage. The premium can be paid in a single lump sum or it can be added to your mortgage and included in your monthly payments (Jordan and I will be adding it to our mortgage). My mom was doing some interneting and learned that there are rebates available for mortgage loan insurance (through the Canada Mortgage and Housing Corporation - CMHC) if home meets certain energy efficient standards. Jessie Goes: "...oohhh rebate? free monies?..." Homes built under qualifying programs qualify for a 10 per cent premium refund and extended amortization periods without a premium surcharge (if we go with a 30 year instead of 25 year amortization the surcharge is 0.20%) when CMHC Mortgage Loan Insurance is used to finance their purchase or construction. There are a number of programs available both on the builder/buyer/renovated side of things - all with the goal of achieving a highly energy efficient home. There are three programs available where we live in Canada (two are national, one is for Alberta). If you click the link you'll find that the National programs include the R-2000 and the Leed program as well as the Build Green program (Alberta Only) which are essentially builder sponsored and require the builder to issue a Building Certificate which CMHC uses to validate the energy efficiency of the home. As our builder is not involved with these programs, we will explore an alternative option. Natural Resources Canada has a rating scale called the EnerGuide. An EnerGuide rating shows a standard measure of a home's energy performance. It shows you (and future buyers - think re-sale) exactly how energy efficient your home is. The rating is calculated based on standard operation assumptions so that you can compare the energy performance of one house against another. The home's energy efficiency level is rated on a scale of 0 to 100. A rating of 0 represents a home with major air leakage, no insulation and extremely high energy consumption. A rating of 100 represents a house that is airtight, well insulated, sufficiently ventilated and requires no purchased energy on an annual basis. Okay - so we've learned that through Natural Resources Canada (NRC) you can your home rated and find out if your new home is energy efficient or not. Then What? Through NRC you can get a qualified assessor in your region to give your home a rating. I have also found a builder's checklist for reaching a high EnerGuide rating on this website (which I'll be passing along to our builder). I have contacted several of these assessors (because I was putting out 'feelers' to see what was what and who the best fit would be). I've found out that most of these folks do a two part assessment. They first do an assessment of the building plans and standards and can recommend upgrades (that you would get your builder) that will get you to the minimum rating of 80 in order to successfully apply to the CMHC for your rebate. The assessor would then assess the actual home once it was built and assign the home it's rating. So, how do we get the rebate? Once you have your EnerGuide rating and have lined up your financing and mortgaged your new home you have to apply through the CMHC either online or by mailing a completed application. So that seems like a huge process - but really it's not. We hire a qualified person to do an assessment on our building plans, make on a decision on potential upgrades (like windows and insulation). Once the house is built we have an home assessment done and then apply for our rebate. I've heard from a couple of assessors and they charge about $500 to complete the assessments - so now we get to the really fun part, how much will Jordan and I save? So if we spent approximately $500 now we could receive a rebate of $1,600 and then apply that directly to the mortgage, which would save us 30 years of interest on that $1,600. 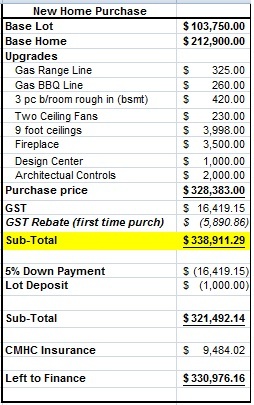 Which according to this calculator, would save us $1,523.44 in interest alone - so nearly $3,000 over the life of the mortgage. Wow, that is significant, and doesn't even account for long term decrease in utility expenses. So, here's my thinking: If the upgrades recommended to get the home to an EnerGuide rating of 80 or above costs less than $2,500 - that plus the $500 initial assessment investment would be worth it. If you lasted this long, I would love to know what your thoughts are. ...phew...that just might win longest post of the year award, if such a thing existed. 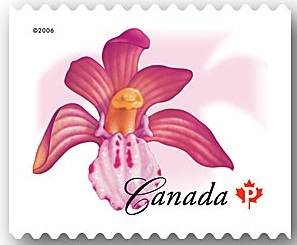 Who knew stamps would be the source of so much anxiety.....really, who out there has recently had a wedding and stirred up some sort of controversy over the use of stamps on RSVP envelopes. I had originally thought (much like the twoonie bar) that a way to watch our spending would be to create a wedding website (which seems to a be a popular trend) and ask people to RSVP on the site. After a bit of brainstorming with my mom we realized that some folks (grandparents mostly) don't use or have access to the internet. So we thought we would include an option to RSVP online but still include a card and envelope and stamp the ones we thought would want to return it by mail. My mom things that stamping RSVP envelopes is born of the day when paretns were paying for weddings - but when the couple is paying themselves, she thinks there should be more leeway in these types of traditions. The point in saving money isn't that this one time savings of about $50 is a large some of money, it's that every $50 we spend can add up very quickly to $1,000 and beyond - which is what we want to avoid. February was an expensive month - we spent far more in grocery's then we have in quite some time (which is a good thing) but we still managed to spend quite a bit on eating out - though not as bad as we have been in the past. Booze could have been less, but again not too bad considering where we were a few months agao. 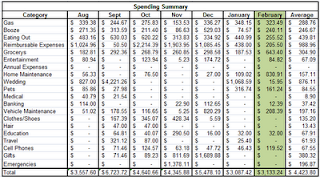 For a month over month look, feel free to click on the image and you'll see the trends/breakdowns for each month since we started tracking our spending as well as our average. Our largest area for improvement continues to be eating out/booze - we also aren't setting money aside for pets/home/vehicle maintenance like we should be. The intent was that would just be 'other' spending when you look at our monthly budget - but we might need to just start putting money away some how for this - need to have a think about that. Jordan and I have done a lot of budget crunching around our upcoming New Home Purchase. The upgrades we have chosen to go with are those that Jordan and I think will impact our lives in a postive way, the most. Not only that, they are all inteded to increase the resale value as well. We have a general 'design center' category because as we have updated the house to include a gas range, we'll need to upgrade the stove as well. We also wanted to pad a bit in case there is anything we have forgotton. I'm 100% positive that the GST Rebate number is not correct. It's a best guess based on reading and some information provided by the seller. If anyone knows how to accuratly calculate this, please let me know. Otherwise, we'll find out on Thursday when we meet with the Selling Agent again. The above numbers are not yet set in stone, but this is what we are comfortable with. We meet with the Selling Agent again on Thursday and then will have a few appointments in the design center (otherwise called the money pit) ﻿before things are 100% confirmed. So, how does that impact our monthly payments? Jordan and I will set up our payments on a weekly basis rather than monthly which will of course reduce the interest paid - but I prefer to use mortgage calculators based on monthly because the monthly amont is higher (when there are four weeks in a month). While we actually have a current five year fixed rate held at 3.39% - it was a 120 day hold and we are looking at taking posession around September/October -quite a ways a way. Our Mortgage Broker can extend the hold, but not for a years time. Once we have our purchase agreement signed, she'll be able to secure a longer term rate (which is way I did the calculations with a higher interest rate). While we have a fixed rate hold - that is really for back up in case the market significantly changes - we're keen on taking a variable rate. Our plan is to set up our weekly payments and then round up to $1,500 a month. We'll put the excess in a separate ING account and then if/when variable rate increases we just adjust how much is going into the ING account - so were effectivly always 'paying' the same amount. At the end of each year, we'll do a lump sum payment of whatever is left in the account. You might notice a couple of changes from our 'normal' budget. Other then house insurance and property taxes and of course an increased utility payment - we have also accounted for an increased gas bill (because of location where we are building). 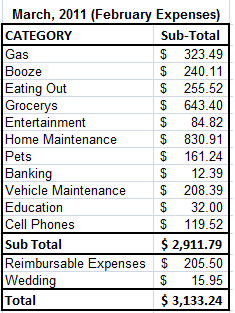 While we budget for about $1300/month for our general monthly expenses (on the credit card) we've been averaging $1600-$2000 - so I updated this budget to be more realistic. We've also chosen to try getting rid of our allowances. While I know that you're supposed to budget for what you have, not what you will have - Jordan and I are also both expecting raises between now and when we take possession. So while it's a bit tight, keep in mind that we're padding the house payment, padding our general spending and will be making more money. A few have asked, so I'll share that I'm also looking for a new home for my horse - while this is not a decision I have made based on our financials, it's one that will impact them. ..phew...okay, so that was a realy long post! I would love to hear from other who have build or bought recently and have any comments/concerns - any who haven't, I'd love your questions!